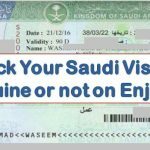 Going to Annual Vacation than must settle down all traffic violations and fines committed by expatriates ROP Oman said. 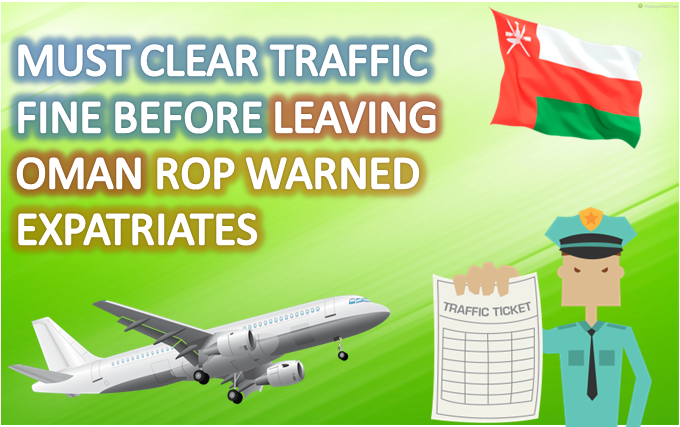 ROP Oman makes clearing traffic fines a mandatory step that is must be settle down by every traveler before going out from Oman. Those who didn’t able to clear their fines must not be given with services of immigration department. 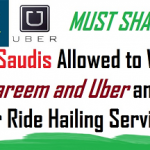 Many of companies and sponsors also face difficulties when their employee didn’t be able to go out from Oman it is certain that their must be some pending traffic fine on that employees. 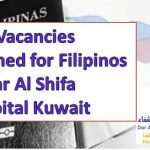 The services which were rejected in case of any traffic violation fine is unpaid these services are passports, id cards, visa, resident permits, road permits. All of these service not only blocked at airports but also at sea ports or at land routes borders. The previous rule of traffic fine clearance is much easy the rule is whenever expat goes to renew his vehicle registration renewal people at traffic department ask him to first clear his fines but now their process is totally changed every expat must clear his traffic offences in order to go out from OMAN. 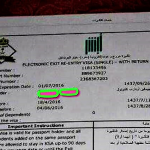 The rule make some expat really unhappy but for those expatriates having logical reasons behind this rule appreciated this new ROP oman rules. Some expat said that many expats go out from Oman on final exit without pay their fines which means they just run from paying fines. This new rule makes expats more regular to pay their fine as soon as possible before its too late.